It's no secret that much of fashion's problems regarding its impact on the environment stems from its reliance on the old way of doing things. Whether its excessive waste-filling landmines, poor working conditions in factories or burning unsold luxury merchandise, it seems that there's always a new report out there shedding a negative light to the inner workings of fashion's glossy exterior. 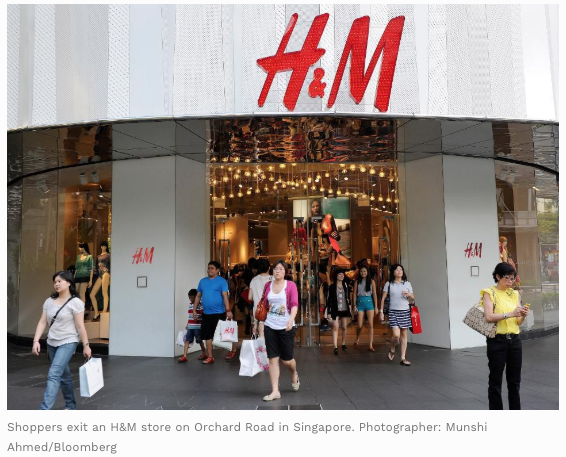 H&M is no stranger to bad publicity, especially in recent years, but the Swedish fast fashion giant has been making significant strides to become more socially conscious and eco-friendly with multiple initiatives and projects. One example of such is the Global Change Award, now in its fourth year, which is an annual competition with a cash prize of €1 million and coaching program courtesy of the H&M Foundation. The award, as listed on its website, is aimed "to speed up the process of finding, supporting and scaling up disruptive innovations that can make the entire fashion industry circular." Applications opened this week, and is meant for anyone with ideas and "innovations that have the potential to shift the fashion industry from its linear approach to a circular one [...] This means changing the way garments are currently designed and produced, shipped, bought, used and recycled by adding disruptive technology, processes, or new business models." Dubbed "The Nobel Prize of Fashion", the competition is that for this year it's looking for entries with "an extra eye on ideas within digitalization." Since its launch in 2015, 8,000 applications from 151 countries have been received. Some notable past winners include U.S. based Agraloop, whose "Crop-a-Porter" plan makes sustainable bio-textiles by using left-overs from food crop harvests through a low-cost, closed-loop technology. Another winner, Algalife, based in Israel, was given the prize due to their idea of using algae that can be turned into bio-fiber and environmentally-friendly dye (growing natural fibers like cotton requires a large amount of water, as does textile dyeing). They claim that using fabric made of algae actually provides benefits to the wearer as it would release antioxidants and other nutrients to the skin. The competition is just one of many initiatives that's been launched as part of H&M's efforts to make sustainability a part of its mission. They implemented a company-wide recycling program across all of its stores worldwide by installing garment-collecting boxes where customers can drop off their unwanted clothes and receive a voucher afterwards. They also continue to design a "conscious exclusive collection" that is made up of eco-friendly, recyclable materials and organic cotton, which has often been worn on red carpet by many Hollywood stars and celebrities. Although many still question how sustainable H&M truly is, their efforts to do so have not gone unnoticed.